This topic contains 3 replies, has 0 voices, and was last updated by LouisDaniel 1 year, 6 months ago. 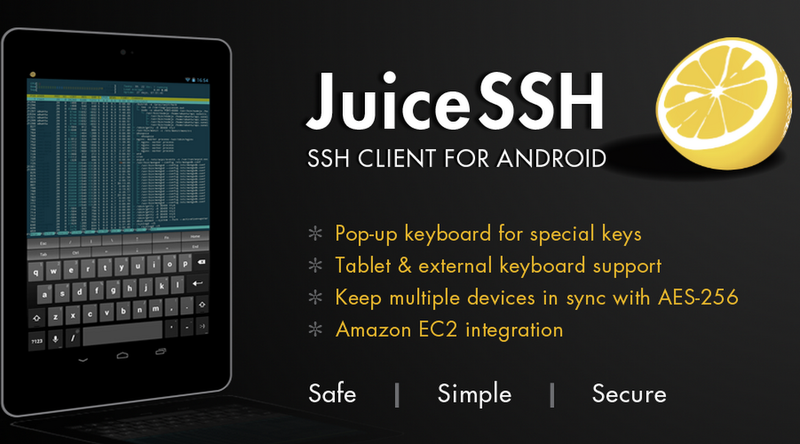 JuiceSSH is one popular Free android ssh client and the pro upgrade is now free till monday. The company has announced this news in their facebook page and google plus page celebrating their 100k users mark. Juice SSH is a free ssh client for android os and it has loads of features and functionality. Currently the Pro version is an In-App purchase feature and if you download it right now, you will get it for free till monday. Remote Administration is so easy with JuiceSSH from your Android device. Download it now from Playstore and see how it helps you. You may now share this wonderful news with your friends and followers across Facebook, Google + and Twitter. dear, think graet you share juice ssh pro, that’s a great apps but don’t have pro vesion. could i use the apps,…?